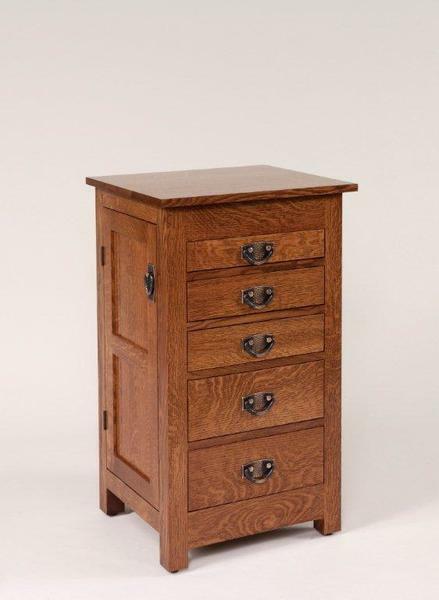 This classic White Oak Wood Mission Jewelry Armoire handcrafted by the Amish will make a magnificent and cultured addition to any bedroom. This Jewelry Armoire is made from solid Quarter Sawn White Oak Wood and available in a variety of stain and paint options. After an order is placed we are happy to send you out finish samples to confirm your selection. This Mission Armoire ships fully assembled to ready to use. This is the perfect gift item for that someone special in your life. The drawers are dovetailed and lined in black felt.